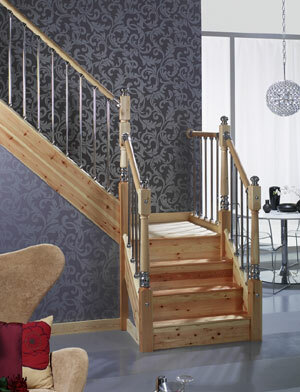 Axxys Satin Nickel Stairparts ..
Axxys Beech handrails and baserails are profiled to take the axxys baluster fittings, shown here with Chrome Balusters. 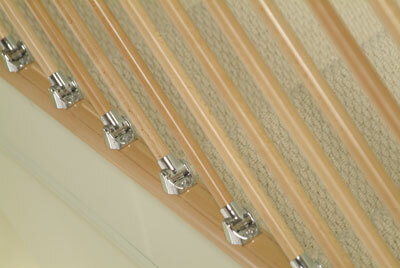 Axxys Beech Parts and spindles with Chrome fittings. 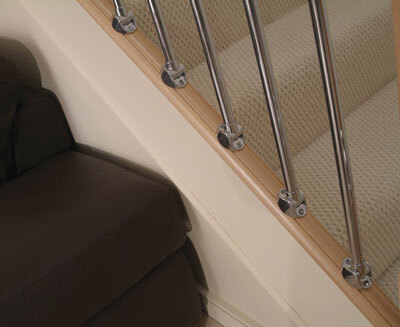 To get a quote on a staircase with the Axxys handrail parts simply email us your staircase enquiry and note that you would like the balustrade to be Axxys.